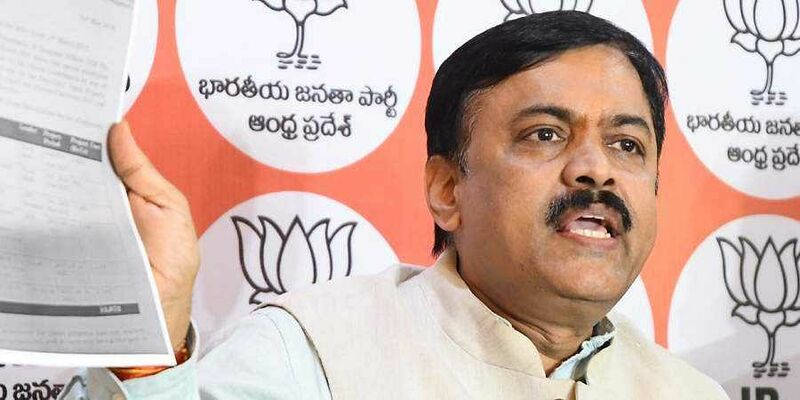 BJP MP GVL Narasimha Rao countered the TDP leaders’ claim that the central government ordered the I-T raids in Andhra Pradesh as the elections were round the corner. VIJAYAWADA: Even as TDP has been terming Income Tax (I-T) raids against its MP CM Ramesh as political vendetta by the Centre, BJP leaders rubbished the allegations stating that the investigating agencies were independent of politics. The principal Opposition YSRC said the TDP was making a mountain out of a molehill of the IT raids. The agencies have a free hand to function in the Modi regime, unlike during the former UPA government. They only go after the people, who evade tax and hoard money, and that too after getting concrete information, he added. He also countered the TDP leaders’ claim that the central government ordered the I-T raids in Andhra Pradesh as the elections were round the corner. “The Lok Sabha elections are scheduled in several other states. Why aren’t the raids going on there?” he said. State BJP president Kanna Lakshminarayana lashing out at the Chief Minister, said, “When the Anti-Corruption Bureau (ACB) conducts raids in the State, he is credited as a crusader against corruption. But, when the I-T department conducts raids, it is political vendetta. It is the duty of the I-T department to ensure that tax evaders comply to the rules,” he added. YSRC MLA and Public Accounts Committee (PAC) chairpersom Buggana Rajendranath Reddy said that TDP was making an unnecessary issue out of the I-T raids. “If the raids are done against other parties, the TDP is ok. But, it becomes a political issue if the investigating agencies go after those in their party. It appears that the TDP leaders can illegally amass money in the past over four years, but the agencies shouldn’t question them,” he said. However, the TDP leaders continued to allege that the BJP-led NDA government was deliberately using the central agencies to get back at the TDP, which had united several parties against the Centre to move a no confidence motion in the Parliament. “They want to get back at the Chief Minister and weaken the ruling TDP in Andhra Pradesh. That is why they are using the central investigating agencies to conduct raids,” MP Kanakamedala Ravindra Kumar claimed.